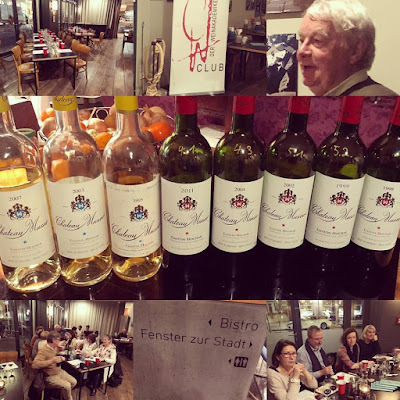 Katja Appelt, head of the Weinakademiker Group in Frankfurt, Germany, organized an extensive Château Musar Tasting with well-known wine journalist Rudi Knoll. The tasting took place at Restaurant Margarete in the center of Frankfurt. There are about 600 "Weinakademiker" in Germany, Switzerland and Austria. They all studied successfully at the Weinakademie Österreich and were awarded the title "Weinakademiker. The qualification is similar to the Wine & Spirit Education Trust level IV Diploma. Katja Appelt, who works at the VDP, the association of about 200 elite winemakers in Germany, is the head of the Weinakademiker group in Frankfurt. Château Musar is in Ghazir, Lebanon, 24 kilometres north of the capital Beirut. The vieyards are in the Beqaa Valley, situated 40 km east of Beirut. In 1930, at just 20 years old, Gaston Hochar founded Château Musar, inspired by Lebanon’s 6,000-year winemaking tradition and his travels in Bordeaux. His ‘wines with noblesse’ greatly impressed senior officers in the army following on from the French mandate of the 1920s. Major Ronald Barton, of Château Langoa-Barton, stationed in Lebanon during World War II became a great friend, strengthening the links between Château Musar and Bordeaux that remain to this day. 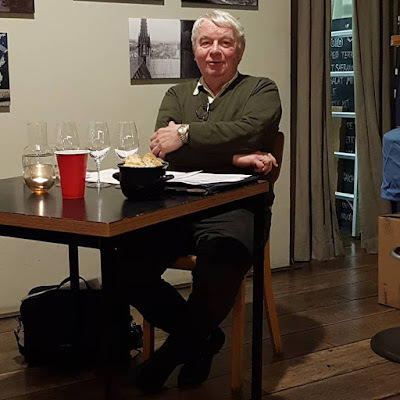 Serge Hochar, Gaston’s eldest son trained as a civil engineer, then decided to study oenology and with the encouragement of his father became a student of Emile Peynaud at the University of Oenology in Bordeaux. He became Château Musar's winemaker in 1959 and Decanter Magazine’s first ‘Man of the Year’ in 1984. Serge Hochar died in a swimming accident in Mexico in December 2014. Serge had two sons: Gaston and Marc. Both studied engineering and worked in the banking sector. Gaston now manages the day-to-day running of Château Musar and Marc its commercial aspects. Château Musar was the first producer in Lebanon to achieve organic certification for its vineyards in 2006. Most are located in the Bekaa Valley, cradled between two mountain ranges running parallel to Lebanon’s Mediterranean coastline. 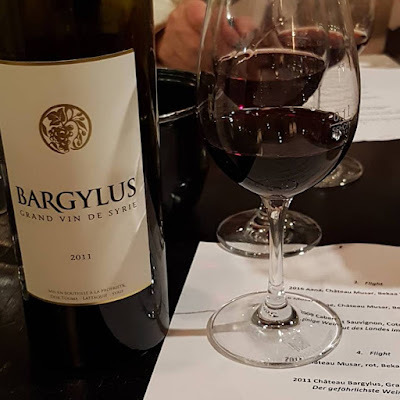 Vines have been cultivated here for at least 6,000 years: the Phoenicians (seafaring ancestors of the modern Lebanese) were instrumental in bringing vines and wines from Byblos across to all of the areas around the Mediterranean. In the winery, ambient yeasts do the work of fermentation. The bare minimum of sulphur is used and the Château Musar Red wines are neither fined nor filtered. Lebanon’s Western Bekaa Valley, a shallow, fertile basin, running between the Lebanon and Anti-Lebanon mountain ranges, has been home to the vine for 6,000 years. Vineyards were commercially exploited here by the sea-faring ancestors of the modern Lebanese, who introduced viticulture to Greece, Egypt and Italy. The Greeks named them ‘Phoenicians’ after the purple dye (‘phoinikèia’) they made from seashells. Famed for being able to revive their cities rapidly after destruction, the Phoenicians inspired the legend of the Phoenix. The region’s wines are mentioned many times in the Bible (as in Hosea 14:7), and Cana, where Christ turned water into wine, is near the southern port of Tyre. Baalbek, originally devoted to Phoenician fertility god Baal, is also the site of a vast Roman temple to wine god Bacchus. French in origin, the Hochar family (pronounced ‘Hoshar’) arrived in Lebanon with the crusades and have remained there ever since. Château Musar also produces a single vineyard wine, Hochar, which is similar to the red Musar but is oak aged for only 9 months, and can be drunk younger, as well as the Cuvée Musar range, both produced as a red, white and a rosé. Hochar Père et Fils is released earlier and can be used as an indication of what the Château Musar wine will be like. It is usually around half the price of the regular Château Musar. Château Musar has begun production of a restaurant range, Musar Mosaic, and a wine from their younger grapes, Musar Jeune. Katja Appelt on facebook: Great evening with wines from Lebanon in the glas ... 🍷 Château Musar was eyeopening ... The white from 1993 (thank you Michael Albert !!!) - a treasure ... My favourite: the 1999 red ... So Bordeaux - but with an infatuating opulent elegance ..
Cynthia Ribeiro-Richter on facebook: Sehr interessante Verkostung. All the wines were great, but the 1993 white was my ♥️ favourite. Andrew Jefford in decanter: Just as there is no wine quite like Château Musar, so there will never be another winemaker like Serge Hochar. Christian Schiller: This was a spectacular treat. The 1993 white was still crisp and full of flavour and the reds had the most amazing nose, layered texture and endless finish.